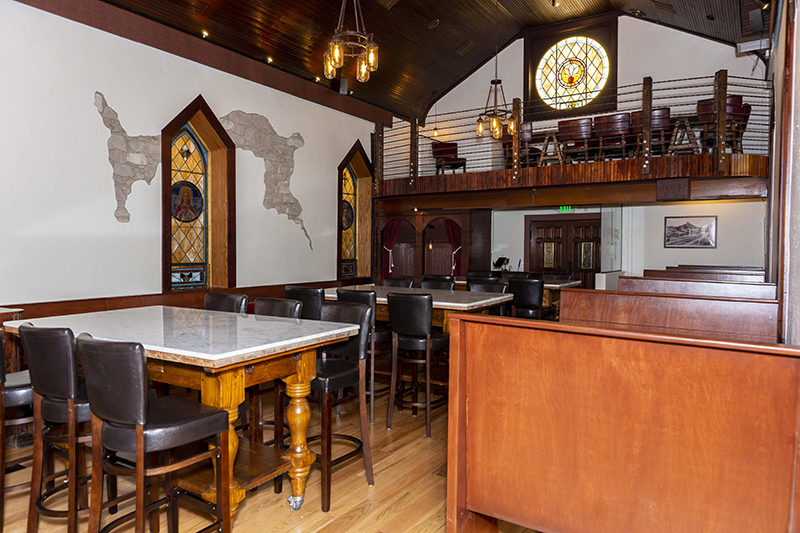 Due to popular demand, Scileppi’s at the Old Stone Church is now accepting reservations for The Confessional and The Last Supper tables. All other tables are available on a first come, first served basis. Ideal for larger groups, The Last Supper is a beautiful, semi-secluded loft space that comfortably accommodates 8-12 people. Whether you’re celebrating a birthday or hosting a family dinner, The Last Supper is guaranteed to impress your guests. Plus, if the conversation lags, you have a beautiful view of the restaurant to enjoy! Please note: Scileppi’s cannot turn water into wine, but we do serve both. Guests must bring their own disciples. To be seated at The Last Supper, the majority of your party must be present. 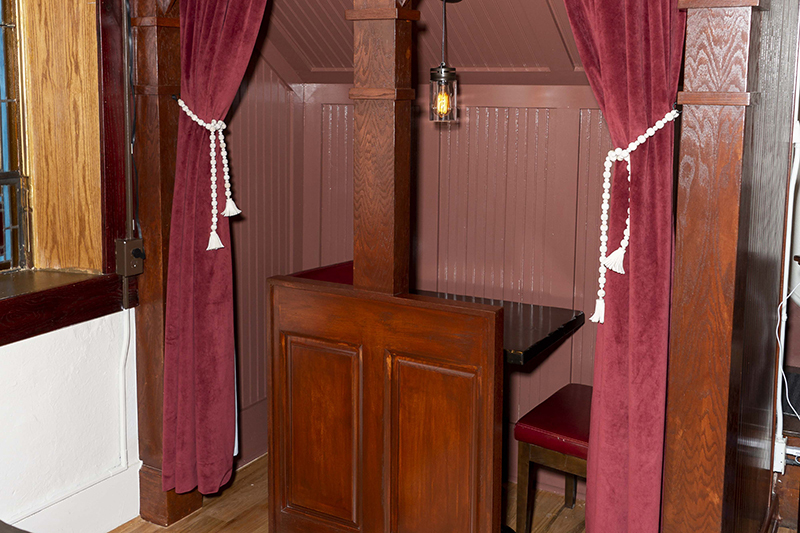 Our most romantic table, The Confessional is a semi-private, table for two perfect for special occasions, date nights and everything in between. Priest not included.